Indiana REIA™ Membership makes a brilliant gift for the holidays, a special occasion or for no reason other than to help those you care about. By giving the gift of membership to your family, friends, and colleagues, you give lasting value, that opens up a world of high-quality education with a caring community. Plus, you’ll help support the real estate association’s efforts to promote education and property rights. It’s the perfect way to help give and get! 1. Select the level membership you would like to purchase as a gift. 2. You (the Giver) will receive an email confirmation of the gift membership. 3. The Receiver will get a new member welcome package with membership certificate, user name and password for the on-line Member Academy. Please tell us a bit about yourself. You can remain anonymous but we need to who you are in case there is a question about the order. Do you want to give the membership anonymously? A bit about the person(s) receiving the gift membership. The more information the better in order to customize their gift and membership experience. Is there a spouses email you'd like to include? The spouse can always unsubscribe later if they chose. But it may be helpful because the spouse can log into the member academy with their own user name. If you don't know we can still send them the gift membership and get them into the Membership Academy using their email and/or phone number. Your gift is enough but if you'd like to add any further details or message you may comment below. 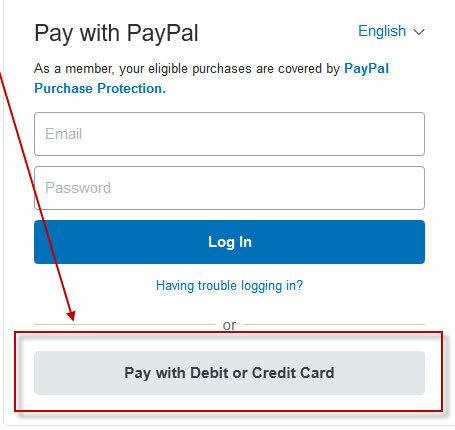 After clicking the button you will be routed to Paypal's secure server to complete the order. How do I purchase an association membership gift certificate? Help someone achieve their Real Estate, education and financial goals by giving them a gift certificate to Indiana REIA! To purchase a gift certificate, visit the Gift Certificate purchase page, enter the amount, complete the form, and proceed to checkout. Within 24 hours, the lucky recipient receives an email from Indiana REIA with the gift certificate and lets them know of your generous gift. Does the Membership include the spouse and children? I don’t know their information. With some of their information we can get them started: their email address, a phone number or an address. If you don’t have any of those it may be better to put your information in place of the recipients. And then you can forward it to them. For further assistance, please do not hesitate to contact our award winning Customer Service department. The next REIA meeting is Saturday April 20th. Please allow 2 business days for processing. The gift recipient can attend the REIA meeting before their membership materials arrive by simply checking in with the Welcome Table prior to the meeting. Complete the gift order here. Need help? Call or email the Membership Department here. Want your own Indiana REIA™ membership? Join or renew here! How do I pay for the gift membership?